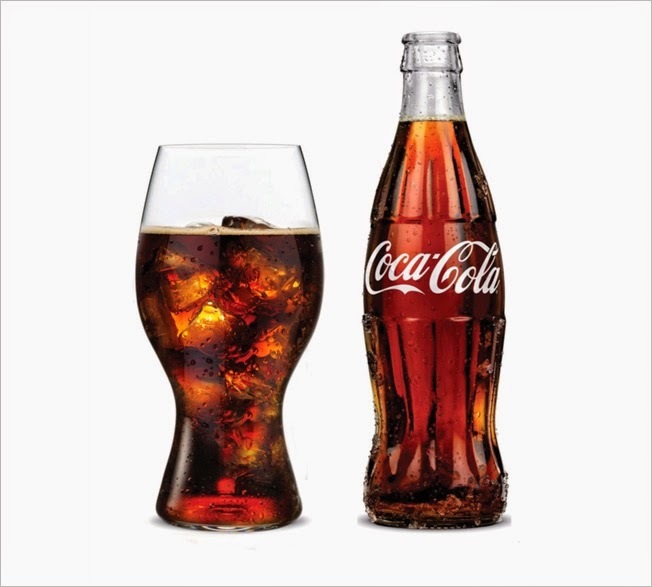 Coca cola has become the most consumed carbonated product in the world. Its refreshing taste and crispy sweet feel has gotten many people near addicted to the thing. You probably don’t know that the toxic and health damaging ingredients used to make this product is what brings that very temporary feel that you near get addicted to. For example, it contains carbonated water, sodium benzoate, citric acid, orthophosphoric acid, aspartame, sodium cyclamate, food coloring and assorted aromas. It is important to look at each of these ingredients in order to truly understand what is included in the drink. Of course, the aromas are basically there to make the drink smell good so you will drink it. *Orthophosphoric acid is one of the drink’s most abundant ingredients. It is also the most infamous. A scary thing about this particular ingredient is that it is so corrosive that it must be trucked in using special containers in order to guard against the containers becoming corroded by this ingredient. It is a frightening prospect to think of putting anything in your body that is so dangerous that it can corrode steel on contact. However, it is a prevalent ingredient in Coca-Cola. Inside the body, it typically prevents the absorption of calcium, leading to bone density problems. This in turn may lead to more serious problems later on such as osteoporosis and even broken bones. It also adversely affects the eyes and even the skin, often causing painful skin rashes that can lead to infections. *High Fructose Corn Syrup: This is found in Coca-Cola Classic. It is used too extend it’s shelf life as well as a sweetner. Linked to obessity due to the pervasiveness of its presence, digestion of this substance promotes fat storage in the body. *Sucralose: This is found in diet coke and is 600 times sweeter than regular sugar preliminary research discovered that it can cause organ damage and intestinal complications as it is removed from the blood stream by the kidneys. *Saccharin: This is an organic petroleum molecule, 300 times sweeter than sugar and should be avoided during pregnancy. It is used in Diet Coke and can cause brain tumors, cancers and can be especially harmful to children. *Sodium benzoate: This can be potentially dangerous if you happen to have an allergic reaction to aspirin or if you have asthma. It has a tendency to exacerbate these conditions and can make asthma worse in a matter of seconds. According to Sheffield University in Britain, a study found that it has the ability to deactivate human DNA. The deactivation of DNA may lead to Parkinson’s disease and other diseases that are associated with it. It can also cause cirrhosis of the liver, a potentially fatal disease. *Coca-Cola Light relies on aspartame in order to get its sweet taste. Aspartame is a sugar substitute which actually breaks down into methanol under certain conditions. When aspartame gets hot enough, it actually has the capability of transforming into the gas methanol, which may cause blindness due to irreversible optic nerve damage. While it is unlikely that it could become that hot in a can of Coca-Cola, one thing that does frequently happen in warm drinks is that it actually turns into formaldehyde. Formaldehyde inside the human body causes a host of potential medical problems. Some people exhibit hearing and memory loss, blurry vision, joint pain, fatigue, headache, nausea, dizziness and even heart palpitations. The high level of phenylalanine and methanol in Aspartame could damage neurons, lead to memory loss, brain tumors and even cancer. Diseases associated with aspartame consumption include chronic fatigue syndrome, epilepsy, Alzheimer’s, Grave’s disease, multiple sclerosis and even brain tumors. *Sodium cyclamate: This is an artificial sweetener that was originally banned by the FDA due to evidence that it could cause cancer. However, it was later determined by the World Health Organization that it was safe for human consumption and now appears in Coca-Cola as well as other products. However, the evidence that it has the potential to cause cancer still exists. It also causes infertility in men and diminishes testicles. Almost immediately after you finish drinking a can of Coca-Cola, you have what amounts to approximately 10 teaspoons of sugar in your body. It takes all this sugar approximately 20 minutes to cause the insulin in your blood to skyrocket as the liver starts changing the sugar into fat. This fat is then stored in your body and unlike fat from food, it is very difficult to get rid of. Approximately 40 minutes after you have consumed a can of regular Coca-Cola, the caffeine is affecting the body to the greatest extent. This causes your blood pressure and your heart rate to go up. You feel more awake, but you are also jittery and you may become irritable. Almost immediately thereafter, a chemical called dopamine is produced in your brain. This is a chemical that is designed to produce a sense of euphoria. It is also basically the same effect that heroin addicts experience when they shoot up. A few minutes later, and approximately 1 hour after you have consumed a can of Coca-Cola, your metabolism rises, but not in a good way. Zinc, magnesium and calcium are bound by the phosphoric acid contained in the brink. This means that your body is largely unable to use anything in the drink that may be helpful. Virtually all of the calcium in your body is then expelled in your urine. After that, you essentially experience the “crash” that comes after consuming large amounts of sugar because any positive effects have gone, leaving you feeling exhausted and mentally dazed. Tags : Health Effects of Coca-Cola Consumption. The Very Latest on Carrots.